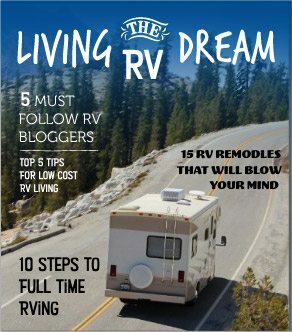 The 10 Best RV Trips To Take In Oklahoma - Must See! If you’re unfamiliar with the state, you might think that Oklahoma is mostly sweeping plains and straight roads. Straddling the boundaries between the Midwest and the South, it’s almost as if the state doesn’t really know what it’s supposed to be. Even some Oklahomans tend to argue over what region lays claim to the state. In truth, Oklahoma is a mix of both. You’ll find a hodge-podge of accents across the state, from southern drawls to accents as Midwestern as a grain silo in a cornfield. Oklahoma is ecologically diverse too. Surprisingly, it’s one of the most naturally diverse states in the nation. There are more than ten geographical zones laid out across the state, including areas in Western Oklahoma that are home to an array of rare species. Of course, one of the best ways to explore a state as diverse as Oklahoma is in an RV. 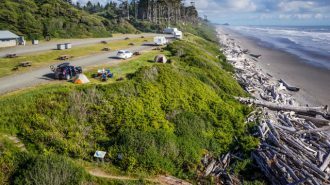 The RV lifestyle is relaxed and welcoming, just like the state’s residents. You’ll be able to explore at your own pace, stopping wherever the moment speaks to you. 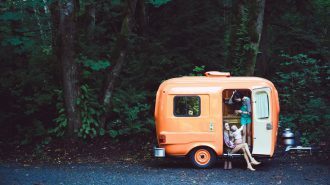 Luckily, RV rentals in Oklahoma are plentiful, so you won’t have to look far to find an affordable rig. Then, all that’s left to do is pack your bags and head to one or all of the destinations on this list. The Arbuckle Mountains are one of Oklahoma’s four major mountain ranges. Though the Arbuckles may only take up four counties, their history reaches much further. The mountains themselves are some of the oldest in the nation, dating back to roughly 1.4 billion years ago. Their geology is the most diverse in the state, comprising of limestone, glass sand, granite, and a slew of other valuable minerals. Nestled deep in these mountains is a staggering, 77-foot waterfall, one of the largest in Oklahoma. This is Turner Falls. For being in the middle of a mountain forest, Turner Falls Park is surprisingly civilized. The park offers not just fishing and swimming, but also an array of accommodations and amenities. Small retail shops, concession stands, and diners can be found on the grounds, and cabin rentals are available to those who want to stay. The park also has three caves, plenty of hiking trails, and a rock castle all begging to be explored. Turner Falls is a harmonious blend of nature and comfort. Price: Summer admission ranges from $6 to $12. Winter admission ranges from $3 to $4. 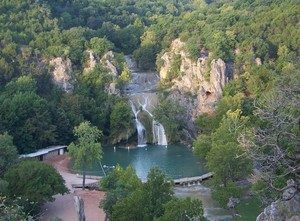 RVers can camp right in the heart of Turner Falls Park! The park offers both primitive and full hookup camping. In addition to the local concession stands and shops, there are also bathhouses on site. Please note that admission and camping are separate fees; you’ll need to pay admission for each day you stay at the park. Camping fees range from $12.50 to $25. 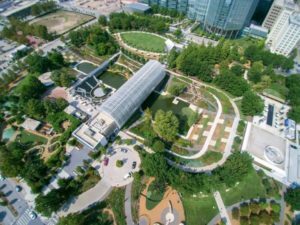 If you’re in the Oklahoma City area – and let’s face it; you have to at least stop there during your travels – you should plan to spend a few hours at the Myriad Botanical Gardens. This 15-acre urban park is situated right in downtown Oklahoma City. There are several levels of outdoor gardens, all surrounding a central lake. The crown jewel of the Gardens is the Crystal Bridge Conservatory, which has more than 750 different species of plants spread out across its 13,000 square feet. But that’s not all. There are features that everyone in the family can enjoy. Kids will love hanging out in the children’s garden and playground or getting wet in the splash fountains. Don’t forget to bring your furry friends – an off-leash dog park offers lots of room to run around. Of course, if you’re looking for a more laid-back experience, you can always spend the afternoon just strolling the gardens or hanging out on the Great Lawn. Make sure to check the schedule ahead of time, as the Gardens offer regular events and training classes throughout the year. Price: Outdoor areas are free; entrance to the Conservatory ranges from $5 to $8. Usually, it’s tough to find RV parking in the city, but that’s not the case in Oklahoma City. There are several RV parks nearby, including Twin Fountains RV Park, a top-rated campground. 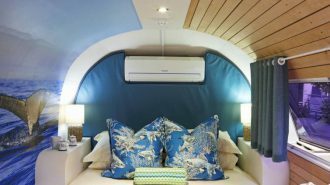 They offer full hookup sites and a wide variety of features, including a hot tub and pool, fishing pond, bike rentals, mini golf, and a salon and spa. There’s also an onsite camp store and pizza shop. Rates are $49.50 per night. If you’re looking for something less expensive, you may want to check out this list of RV parking in Oklahoma. Disclaimer: Oklahoma is a hotbed for the strange and unusual. Don’t be surprised to see a few weird stops on this list. While you’re still in Oklahoma City, you’ll want to stop by Museum of Osteology and Skulls Unlimited. The museum is a private collection of more than 350 skeletons on display. A whopping 7,000 specimens are also part of the collection (though not on display) making this the largest private collection of bones on earth. 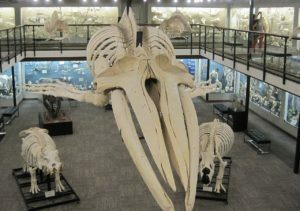 You’ll know you’ve arrived at this massive museum when you walk in and see the skeleton of a 40-foot humpback whale hanging overhead. Owner Jay Villemarette opened the museum in 2010; one of the first of its kind in the United States. The museum has attracted thousands of visitors each year, and will likely expand to include more exhibits in the coming years. Guests will find an array of skeletons from animals – and humans – from around the world. There are plenty of rare specimens as well, including a saiga, a two-faced cow, and a Javan rhino. Don’t forget to stop by Skulls Unlimited next door, where you can buy your very own skull to add to your collection! Price: $8 for adults, $7 for kids ages 3-12, free for kids under 3. 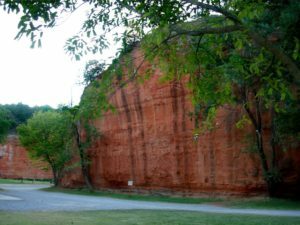 We mentioned before that there are several places to camp in Oklahoma City. The closest to the Museum of Osteology is Rockwell RV Park & Campground. 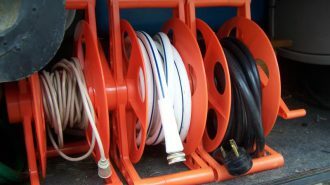 They offer full-hookups and a selection of pull-through sites. Amenities include a heated indoor pool, hot tub, a beauty salon, and free cable and internet. In the morning, guests can grab a complimentary muffin and coffee and relax with a free newspaper. Rates vary from $40 to $45 per night; Good Sam members get a 10% discount. Located in Northwestern Oklahoma, Alabaster State Park is a 200-acre property that’s home to the largest gypsum cave in the world. Several forms of alabaster are plentiful here, including black alabaster, which can only be found at two other locations on the planet. 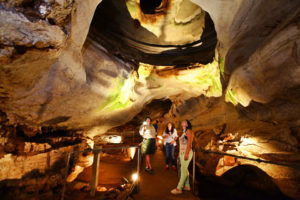 The park offers guided tours as well as wild caving, though you’ll need a permit if you want to explore the caves on your own. Other activities include spelunking, horseshoes, volleyball, hiking, and picnicking. Mesa Campground is within the park boundaries, just outside the cave entrance. 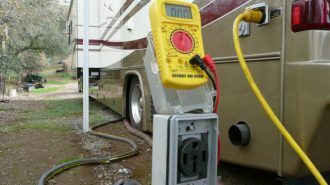 The campground has 11 concrete pads for RV camping, only one of which offers electrical hookups. There are picnic tables and play areas throughout the park. There’s also a small gift shop inside the park office. 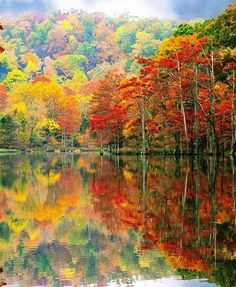 Broken Bow is a well-known vacation spot inside Beaver’s Bend State Park. It’s located in the mountains of southeast Oklahoma, a region favored for its hardwood forests and picturesque scenery. In fact, Broken Bow has become one of the most popular vacation spots for outdoor enthusiasts in Oklahoma and the adjacent states. The park offers a plethora of outdoor activities across its 1,300 acres. Lodging is easy to find and covers an array of budgets. There are activities, events, and festivals throughout the year, so guests are never short on things to do. 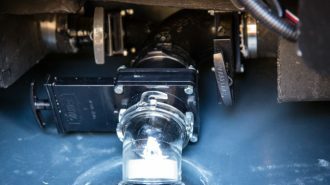 There are nearly 400 RV sites scattered throughout the park, all with water and electric hookups. If you want to dry camp in a more remote spot, that’s possible too. Though there are a variety of spots, they tend to fill up quickly, so be sure to call ahead and check availability. Rates average $20 per night. The towns of Broken Bow and Hochatown both have campsites that are convenient to many area restaurants and shops. Everyone loves a good ghost town story. Picher’s past is riddled with fascinating, yet unfortunate events. Picher was once a bustling zinc-mining town with a population of roughly 20,000. 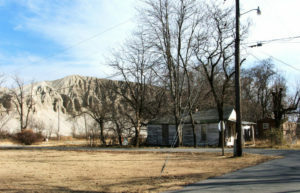 Over the years, mining refuse, known as chat, was dumped in large piles throughout the town, often just mere steps away from residential neighborhoods. Being highly toxic in nature, the chat quickly became an EPA concern, and led to the eventual evacuation and buyout of the town. By then, approximately 34% of the children had already contracted lead poisoning. The few residents that stayed endured a massive EF4 tornado in the spring of 2008, which destroyed 150 homes. The EPA still spends millions of dollars each year working to remediate the site. As of 2014, only 10 residents remain. 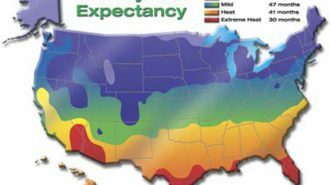 What makes the town’s history so unique is that it’s considered the most toxic town in the United States, and is one of the few towns in the world to be evacuated by the EPA due to environmental health hazards. Website: No official site, but abandonedok.com has plenty of info. For obvious reasons, we wouldn’t recommend camping in Picher. Spring River RV Park is a safe enough distance away, but still close enough to be a short drive. It’s located just over the state lines in the nearby town of Riverton, Kansas. There’s not much information online, aside from two five-star reviews and a phone number. Call (620) 848-3851 for rates and availability. Natural Falls State Park is located just before the Oklahoma/Arkansas border in the Ozark Hills region. 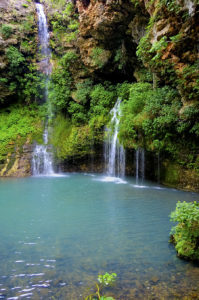 Like Turner Falls, Natural Falls is one of the tallest in the state, measuring approximately 77-feet. However, its setting is a bit more intimate than the first spot waterfall on our list; Natural Falls carves its way through rock formations before reaching the bottom, giving it more of a gentle cascading appearance and creating a tranquil atmosphere. There are two viewing platforms at the falls, including a lower deck with seating. 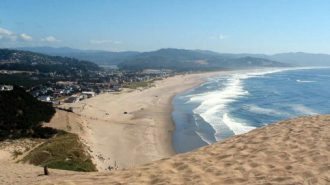 Aside from hiking and wildlife observation, there’s a wealth of activities throughout the area, including outdoor sports, horseback riding, fishing, and more. 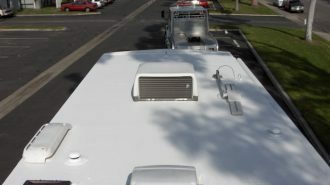 There’s a variety of RV sites throughout the park, which include both full hookups and basic water/electric hookups. Rates start at $22. Pets are allowed with an additional $15 pet fee per night. There are a few premium sites that offer improved privacy and views, which cost extra. If you’re looking for something more resort-like, you can check out our list of top RV parks in Oklahoma. Red Rock Canyon offers a slightly different experience than most of the other parks in the Sooner State. Here, rust-red canyon walls stand in stark contrast to the local greenery. There are several trails in the area, offering both casual and challenging hikes. Old wagon wheel ruts can be seen throughout the park, where settlers along the California Trail traveled long ago. Fall leaf-peeping and rock climbing are two of the most popular activities in the park, along with fishing at the small pond. RV and tent sites are open year-round in the park, three of which have full hookups, with the rest offering electric/water hookups and primitive camping. According to reviews, the sites offer ample privacy and are well-spaced. Amenities include a swimming pool, bathhouse, and picnic areas. Rates start at $22 per night for water/electric hookups. Everyone knows Route 66, so no explanation needed there, right? More than 400 miles of the famous historic route pass through Oklahoma, making it the longest drivable stretch of the road. Needless to say, there are dozens of stopping points along the way, including several museums and motels. 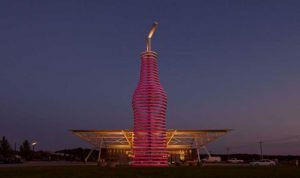 Two of the most notable roadside attractions are Pop’s 66 Soda Ranch and the Old Filling Station near Arcadia, OK.
Pop’s 66 Soda Ranch is a restaurant/gas station hybrid, unmissable due to the 66-foot tall neon soda bottle. 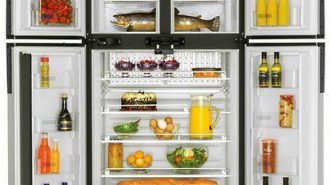 Inside, you’ll find roughly 700 different types of soda (and yummy food). The Old Filling Station is an abandoned stone building with mysterious history; rumor says it was once home to a small counterfeiting operation. Today, an unknown person still takes care of the ruined building, even going so far as to keep up with the flower box in the front window. Nearby Arcadia Lake offers several options for camping. Spring Creek Park offers RV hookups and primitive camping. There’s a nice sandy beach on the lakeshore, and the lake itself allows for swimming, fishing, and boating. The best part about the park is that it’s convenient to Oklahoma City, yet far enough away to be quiet and private. Rates are unlisted. The Gloss Mountains may appear to have a sparse and unremarkable landscape at first glance, but it’s actually the rock formations themselves that are the attraction here. The high Selenite content of the mountains gives them a shiny, glossy surface. The mountains appear smooth, which makes for an interesting juxtaposition against the rugged terrain that surrounds them. The park offers an array of hiking and climbing trails, ranging from casual to difficult. Gloss Mountain Outfitters is the closest campground to the park. 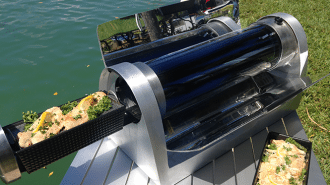 They offer water and electric hookups, as well as a wealth of activities like fishing, hiking, and more. If you happen to own a trailer from one of the RV dealers in Oklahoma or elsewhere, you can even bring your horse with you to this park! 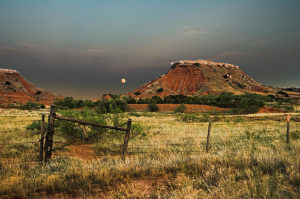 Oklahoma is bursting with natural beauty that attracts thousands of visitors each year. Towering mountain ranges, expansive prairie lands, humid river basins, and deciduous forests can all be found in the Sooner State, making it the perfect destination for outdoor enthusiasts. Even its more populated areas offer a variety of activities, from exploring a tropical forest in the heart of downtown Oklahoma City, to trying new sodas at Pops 66 Soda Ranch. It’s safe to say that no matter what kind of adventure you seek, Oklahoma is sure to tick all the boxes on your list.